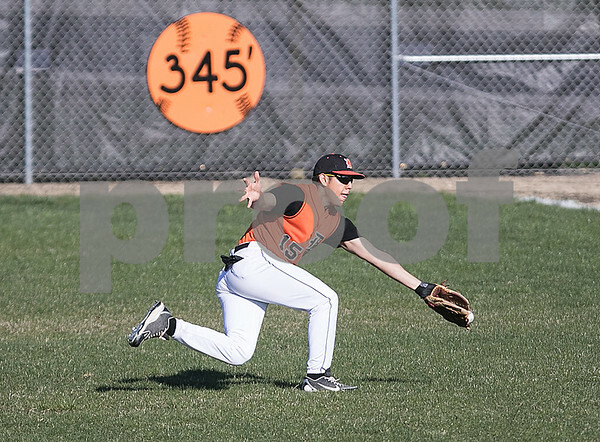 DeKalb outfielder Daniel Garcia makes an acrobatic attempt at a catch during the game at DeKalb on Monday, April 27, 2015. Morris beat DeKalb, 12-2. Garcia dropped the ball mid-dive.